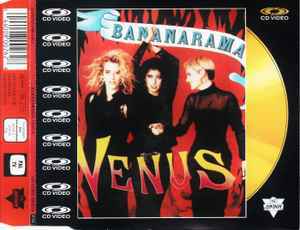 Published By – In A Bunch Ltd.
1986 copyright dates on release reflect the original artwork & audio release, but the CD-Video format was introduced in 1987, so this item must be from later than 1986. 1 - Published by ATV Music Ltd./MCPS Ⓟ1986 London Records Limited. 2, 3 - Published by Rondor Music (London) Limited / J&S Music. Ⓟ1986 London Records Limited. 4 - Published by All Boys Music Ltd. / In a Bunch Ltd. / Warner Bros Music. Ⓟ1986 London Records Limited. Original Sound Recording made by London Records Ltd.
Video - Published by ATV Music Ltd. / MCPS. Ⓟ1986 London Records Limited.